The team is proud to announce the release of LMDE 3 “Cindy” Cinnamon Edition. Announcements will be made shortly with instructions on how to upgrade from LMDE 2. If you are running the BETA, perform a system snapshot and use the Update Manager to apply available updates. I have been using the Beta since it was launched and didn’t have (or didn’t note) any bug. My favorite DE is XFCE, so I installed the packages xfce4 and xfce4-goodies and that was enough to have it working. As always, thank you Clem and the team for a great distro. As my favorite DE is KDE, I have installed it to LMDE 3 “Cindy” Beta and used it from Aug., 16 to 31, with no problem. Very good news. Thanks to Clem and to Linuxmint team and donaters. As always packages from Debian Stretch repository will get updates from Debian itself till 2022(including LTS). I wanted to know for how much time your Mint team will push mint specific packages to this edition of Mint (support cycle for LMDE 3). This is 1st time I’m considering LMDE. You will have no trouble with LMDE – but don’t try to install from Mint or Ubuntu repositories as this is likely to cause dependency problems. If you really need a non-LMDE package, then either Debian or locally compiled from source should be OK.
As this is a backup project for us, we try to only support one LMDE version at a time. We’ll support LMDE 2 until 2019.01.01 to give people time to upgrade. We can’t commit to a particular support deadline for LMDE 3 as we can’t predict the release of LMDE 4. Any plans for the same with MATE? 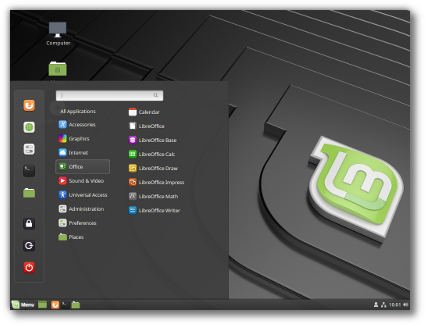 https://blog.linuxmint.com/ says: The LMDE 2 MATE edition cannot be upgraded (Debian’s version of MATE is only 1.16 and this edition is no longer present in LMDE 3), we recommend users perform data and software backups and upgrade their OS via fresh installations. However, MATE version 1.20.3-2 is available through backports (see https://packages.debian.org/stretch-backports/mate-desktop). Thus, can we follow the Cinnamon upgrade path and then go back to MATE via the package from the Debian repository? Post-upgrade you can either downgrade to 1.16 (via mintsources -> foreign packages) or point to Stretch backports and upgrade to 1.20.
or will you be creating a new location? No. We’re not closing it just yet because we’re still chasing a few issues there, but going forward please refer to http://linuxmint-troubleshooting-guide.readthedocs.io/en/latest/. what are the differences between the LMDE3 and the pure Debian stretch with cinnamon? I don’t find any hints about this. Cinnamon is just the desktop environment. It’s one of the components which make Linux Mint so although it contributes to implementing our vision of what a desktop OS should be, it’s far from being the only component. We also make Mint without Cinnamon, with MATE and Xfce for instance. If you run LMDE you’ll see that from a user point of view, it’s a very similar experience to Linux Mint. If you look at it from a package point of view, it’s not, it’s Debian, not Ubuntu. It’s hard to answer or pinpoint each difference because the role of LMDE isn’t to deviate from whatever Debian provides as a finished product. LMDE is Mint, replicated on a Debian package base. If you like Cinnamon there’s no better place than here since it’s our very own project. Not only do we maintain it, but we care about it, we test and develop it primarily on LMDE and Mint, and we design it the same way as we design Mint itself. When we think of how you use your computer and how we can improve that, we think of our DEs, but not only our DEs. We think of all that as a whole, with the DE being one part of it. Debian is great but I doubt they care about Cinnamon as much as we do. If you were to run Debian Stretch you wouldn’t be running Cinnamon 3.8 but 3.2. Cinnamon 4.0 is also likely to be incompatible with Debian Stretch. Michael Biebl, who maintains Network Manager, made it clear bug reports had to affect Stretch packages for them to be considered. There’s a little typo in NM, trivial to fix, but it won’t happen, because Debian simply doesn’t care if it breaks Cinnamon, as long as it’s not the version they ship (3.2). https://github.com/linuxmint/Cinnamon/pull/6993. This doesn’t really matter and I’m sure Debian will react eventually, but it just highlights the fact that when you choose a project, you don’t just get packages and integration, you also get a team of people, and they don’t necessarily have the same priorities as you. Cinnamon, MATE and Xfce are critical to us. Debian cares a lot more about GNOME and policies tend to matter more than user experience. Note that for a package base as wide as Debian’s, I think that’s a really good thing. We’re also considering bumping meson in LMDE 3 so that’s another cloud on the horizon in terms of compatibility. Other than that it’s hard to say… although Cinnamon 3.2 is a bit older, it is Cinnamon and it will work in Debian just like it does in Mint. It’s probably not as fine tuned, it probably lacks configuration tools (locale, sources, etc..) but you can add these. This is subjective and seen from my own point of view. I don’t think it’s bad, but it’s definitely not Mint. To give you a short answer, if someone enjoyed Mint Cinnamon already and moved towards LMDE Cinnamon, although the package base is different, he might spot a few tiny things missing or differing here and there but it wouldn’t be very noticeable. If he was to make the jump and use Debian Stretch Cinnamon instead, he might enjoy it as well, I don’t know, but he would definitely get a significantly different first impression and user experience. It’s very nice to see a very good distro tha’t’s not based on Ubuntu. This is something that I can recommend to my friends, thanks! What’s wrong with good distros that are based on Ubuntu? Good job Sir Clem and all of you in team Mint for this. Gonna check out the RAM usage and if it pans out well then on it goes to this spare old Thinkpad T60. Now… if anyone else with the technical aptitude are up for it, do look into Semplice Linux’ vera desktop (gtk+3 based but Openbox-like) please as an alt respin to the now defunct LMDE XFCE? vera looks like it can blend well with the Mint look and probably has better performance margin than XFCE. To have LMDE3+XFCE, you just need to install xfce4 package, and probably you will want to enable xfce4-goodies package too. I’ve never used MATE, but when Ubuntu went all weird on the desktop I decided to dump them. Luckily 😉 Mint + Cinnamon started at this point – so I tried it for a while, even though there’s a lot of Ubuntu in it. So when LMDE1 came along with a nice Cinnamon interface and any Ubuntu updates filtered through the experienced Debian team, I immediately adopted it. I don’t want Mate, KDE, Ubuntu but LMDE3 gives almost the same experience as Debian (just a slightly more polished GUI). You could add a XFCE DE – but why not just load Debian XFCE? You can install the packages xfce4 and xfce4-goodies. Then, from the login window, choose XFCE and that’s all… well, almost all… you launch ugly XFCE… then you can choose Mint-Y theme and now you have a beautiful LMDE3 + XFCE. Thank you very much. Congratulations for this release. I was waiting to try LMDE for a while now. I hope you guys eventually keep investing more on this distribution because it’s the best of both worlds. Cinnamon has gotten better and better. No better place to showcase it than on LMDE. Congrats and great job! No, it’s based on Debian Stretch. It will get continuous backports of Cinnamon, Xapps and Mint tools though. It’s about copying or moving files, the operation being interrupted, and the incomplete destination file (a leftover) not being removed and being kept at the destiny like if there were no errors. If the destination file is incomplete, it should be deleted, as this is leading to data corruption! I had already have corrupted backups that are unusable because of this issue, for several times! First I thought this was only happening on network operations, but now I’m realizing it happens in any kind of local or network copy or move operation. I wrote you an email about this almost 4 years ago, and I had already posted this issue on the Mint forums 2 years prior to sending you the email, making 6 years that I’ve been seeing this issue happening. No answer from you nor from the forums, and I’ve just checked that the post I’ve made 6 years ago has been deleted. Is this a regular behavior after all, or something upstream out of your hands? Thank you so much, Clem. Respect and thanks for LMDE3! If you interrupt file operations, then you are going to get possibly incomplete files in two places, depending on whether your source/targets belong to the same file system. Moves are virtually instant if the source/target is in the same file system. You could write a script to do this recovery for you by logging the start of an attempted copy/move and also logging its completion (or not). Or you could just test that backups are usable – there’s usually an option for this. Bruno, look into GRsync, which is a very nice GUI for Rsync. Extra Note – be aware that the ‘always checksum’ toggle in GRsync/Rsync only refers to the checksum process used during the transfer. It does not make a final checksum test after the Write process. This means it cannot detect device issues like bad sectors. Any critical backups should be fully checkum verified by making a full checksum list of the backup Source before transfer, then checking that list at the Destination when finished. I’d say it’s upstream from us. Not sure whether it’s down with gvfs/cp or the filesystem itself. Excellent, excellent work. I’ve been very lucky with my timing as it so happens I’m migrating from OSX 10.10. LMDE3 is an incredibly polished distribution, built on top of my Debian of choice. It feels like Christmas. Great work! I do not use your own utilities. The desktop is absolutely clean. I only use the terminal. It’s interesting to test your magnificent efforts! You have succeeded! https://www.linuxmint.com/rel_debian_whatsnew.php doesn’t mention LMDE 3. That would be welcome. This is a very old page. Could you tell us where this was linked from? What do you think about changing the Debian Stretch repositories to Debian Testing (buster)? Will it cause problems after upgrading? Yes, that would definitely cause issues long term. Unless you source Xapps/Cinnamon builds from a Buster compatible repository or compile your own. This should be your flagship release. Great work! Thanks a lot!! I’m using LMDE2 during years, with MATE. So, i’m disappointed when i discovered LMDE3 with just Cinnamon. I think that is a mistake, because we need to promote this fabulous distribution. If LMDE3 was delivered with Xfce, its would be great! I’ll install Xfce for sure into LMDE3. There’s an alternative installer called Calamares in the application Menu. It provides better partitioning. How does LMDE compares to Linux Mint 19.0 performance wise? What about resources, which consumes more? Do you check those parameters for new releases? – Mesure the time to boot the machine from Grub to the desktop completely charged. – Launch System Monitor to have a view of memory and cpu consumption. – Launch Firefox and mesure the time to launch it and take a look at System Monitor. – Do the same, lauching LibreOffice, and some other pieces of software. Might I know about a LMDE version with Xfce? great work! Especially full-disk-encryption (including /boot) for my notebook on the way… I I always change /usr/share/icons/default/index.theme from Adwaita -> DMZ-White so you get DMZ–White cursor by default at the login-screen same as in Tara… I’ m also running Debian Buster – for fun – if adding LMDE3 “Mint-repo” to sources.list will this work or totally mess- up? Keep it up, I like both Mint branches! I have just got a simple question: Will LMDE 3 be upgraded -> to Debian 10 (Buster) package base once Debian Buster gets released or is it going to be LMDE 4 -> Debian 10 as only viable option ?_? Thank you for your answer and thanks for making this release happened and still happening as I found Ubuntu + its package base very bloated and unlikeable to me . . .
LMDE 3 is compatible with Debian 9, not 10. LMDE 4 could be based on Debian 10. Hi all, thanks for the good work! All seems ok except my usb wifi doesn’t connect. Hangs for about 30 seconds and then displays “The network connection has been disconnected”. PC is HP Pro6300 sff, usb wifi adaptor is TP-Link TL-WN722N (atheros chip). All works ok with LM17.3 & 18.3 on the same hardware. Any ideas??? You are now in the land of Systemd. The command “systemd-analyze blame” will tell you how long it took to initiate various system services. Read and try, it helps! Just did the LMDE2 > LMDE3 upgrade using the community tutorial. Everything went fine until I got to the D8 section “Remove Foreign Packages” ; there are quite a few packages listed, several of which are critical system packages like mountall and gcc. I was able to remove packages singularly, ie. mdm-* which I knew were not needed but I do not know how to tell the system these other packages are okay. It really would have been better if the tutorial stuck with the command line, ie. use dpkg(1) or whatever is the backend used for steps D7 and D8 so users would at least know where to start looking in case of hiccups. Hello, I’m using the Opera browser and there are problems with playing video in the player. I installed the Flashplayer-chromium package and the video began to work, but the player’s control is not working and the appearance of the player itself is not the same as in Windows 10 or Linux Mint 19. I can assume that in Linux Mint 19 for this is the package: chromium-codecs-ffmpeg-extra. But in LDME 3 there is no such package. Is there an alternative package for LMDE 3 and how can I solve the problem? Thank you. Open Opera and type opera://about/ or set Opera to open with that on startup (open a specific page). Not the Chrome version of your Opera browser under browser identification below the version number. Update your Opera browser to the latest version (at this time this would be 55.0.2994.56) – Go to this page: http://security.ubuntu.com/ubuntu/pool/universe/c/chromium-browser/ and download the chromium-codecs-ffmpeg_68.0.3440.106-0ubuntu0.16.04.1_amd64.deb file, matching your Opera browser chrome version (Chrome/68.0.3440.106). Click File System in Nemo and navigate to /usr/lib/x86_64-linux-gnu/opera. Here you right-click and choose Open as Root, type your password to open the Opera folder as root. Now copy chromium-codecs-ffmpeg_68.0.3440.106-0ubuntu0.16.04.1_amd64.deb to this folder and extract the libffmpeg.so file from the deb file and copy and replace the libffmpeg.so that is already located in the Opera folder. Now go to this page to test if your H.264/mp4 video plays. It should. You may have to repeat this process after updating Opera to a newer version. Enjoy LMDE 3. I just installed my LMDE 3 today. I have found one bug. There is sound distortion in form of a crackling sound in VLC when playing a video file encoded in HEVC x265. This does not happen when playing the video in Media Player. Also this does not happen in VLC when playing .mkv files, or sound files like .flac or .mp3 files. Did anyone else experience bug? Otherwise I am very pleased with this upgrade. Have been using LMDE since day one of the LMDE 2 release almost 3 1/2 years ago. Thanks to all developers and the Mint Team! Thank you very much Paul, you helped me a lot. What about renaming the release numbers of Mint Releases ? But next Mint release should be named Mint 22, based on Ubuntu 22.04 LTS. It would be much more convenient to know the base Mint is based on. LMDE is great… Then old troubles come to place. – Dependencies locked by a monolithic structure. Not so much an old version of WINE (1.8.7 while now 3.02) but several clashes. … No ‘UniLibs’ were applied to the dependencies problem. And yet, it was solved on DOS, more that 30 years ago, by users. M$oft even adapted some of those solutions. Not linux. Why? … Errors were ‘standard’. Only open-paths were accepted. Yet, again, we do have RAM enough to use Unicode. And we do have disks big enough to use multiple dependencies (apart). … A new structure is needed. Even better, new methodologies. suffered by Windows after ‘standards’ allow a “let-it-go” into confident “solve-it-later”. … linux suffers the same. Thus the need to clean methodologies, more than cleaning ‘solutions’. Then, WINE installs (just an example) will not depend of a particular version. Hope so! Thanks for sharing such type of nice and valuable information with us about LMDE 3 and I hope that you will also share more new information relevant to this post. This post is helpful to most of the users to gain the knowledge. Why not just get rid of Ubuntu and focus on LDME only, if all of you really worry about what will happen after Ubuntu? Just successfully upgraded from LMDE 2 to LMDE 3. I noticed savscand runs automatically at startup. Will I be less secure if I disable savscand? Just a precision about: “The LMDE 2 MATE edition cannot be upgraded (Debian’s version of MATE is only 1.16 and this edition is no longer present in LMDE 3)”. Effectively Stretch is using MATE 1.16 but 1.20 in Stretch-backports, would it be possible to have a way to migrate LMDE2 MATE to LMDE 3 CINNAMON + MATE? I installed LMDE3 on Lenovo Thinkpad X230i with UEFI mode but system failed to boot. I had to make reinstallation under Legacy mode. Many thanks Clem and the Company – I installed LMDE3 on my Acer 7112wsmi laptop. It’s quite an old and slow machine but LMDE3 installed OK. I discovered that the chaining symbol for ‘apt-getting’ all my favourite apps is the semicolon ‘;’ which I presume is one of the Debian differences. I put in a swap partition after installation and the system appears to have picked that up. I shall probably stick with LM18.3 with my other boxes for a while. So, am I to understand that LMDE will NOT have a MATE version download through the Linux Mint site? Please do not make the answer to complicated as for I’m not a Linux Pro. Thanks Clem and Team – I installed LMDE3 – 32bit on my Zoostorm Freedom Atom N270 notebook. It’s a very slow machine anyway, but I’m pleased with the results. The ALT+mouse to move the dialog boxes was useful to show the lower buttons. I chain command ‘;’ to install my favorite progs. I have ACPI ERROR signals show up when i startup. Also, as startup progresses, I have to keep pressing the ON button to move on the progress. This repeats when I switch on after installation so it’s something for me to investigate. 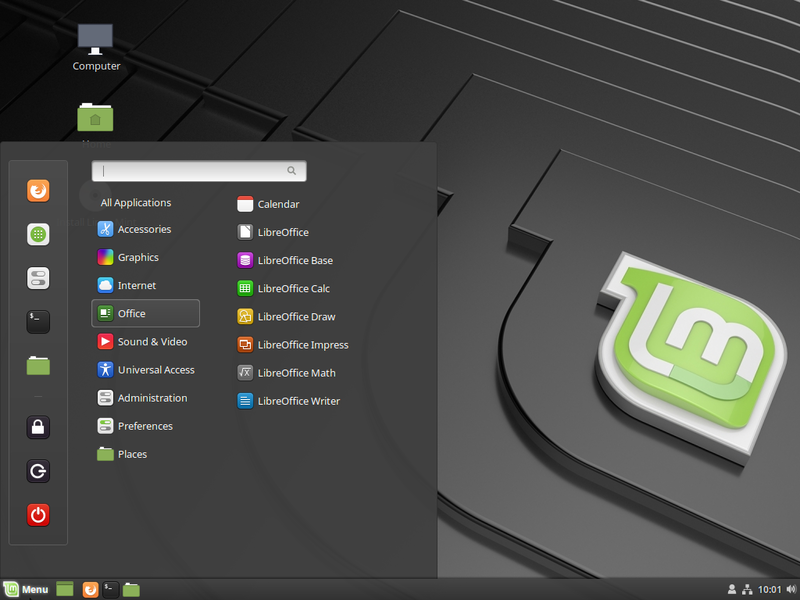 I am using Linux Mint for last 7-8 years (different versions) and in this time my girlfriend, parents, friends changed also to LM and are happy with it. After years with LMDE2 I tried the most current Linux distributions and environments. After Antergos, Manjaro and MX stayed on Debian, then tried LM19 xfce after release and now changed to the LMDE3. LMDE3 is a dream!! It looks beatiful and feels beautiful! Really, for me its the best distribution system that I have been ever used! Thank you soo much LM Team for your great work in all the last years! Its really big amount of work and I think it was a right decision to reduce the amount of envoronments. What I don’t understand, why do you still stay on the main LM version, why you don’t change to LMDE only? Its faster, more stable, more open, it would reduce your work amount.. Because you work on both distributions with cinnamon at the moment. Were it not easier for you to reduce to LMDE in cinnamon, mate and xfce only? After upgrading to LMDE 3 I have found a couple of bugs. 1: Possibly the most serious bug, though there is a good alternative. Since I upgraded, most installed programs were ported over to LMDE 3. But sometimes you need to install new software that you didn’t have before on your system. On LMDE 2, I used to use all available tools to install software, The Software Manager, Update Manager, Synaptic Package Manager and the terminal. Now let’s get to the Software Manager. This used to work without a glitch on LMDE 2. Here on LMDE 3 I have stopped using it alltogether, now using Synaptic Package Manager instead and sometimes the terminal. If I run the Software Manager to install a certain package, the system ask me to authenticate with my system login password (the same password that is being asked when running sudo apt update in the terminal for example). This is normal so far. But when I type the password and click Authenticate or Enter, it asks to type the password for the second time, and if I type it the second time and Authenticate, it may even ask the third time before it is being pleased and let me start downloading and installing the requested package. Sometimes when I close the Software Manager and start Software Manager again after installing a package, it turns out that the package was NOT installed anyway. This is not acceptable to me. As mentioned above I will from now onnot use Software Manager anymore to install software. Luckily, Synaptic Package Manager, which is connected to APT, is rock stable and fast, aso here on LMDE 3. Synaptic doesn’t have the nice graphical layout as the Software Manager, and it does not have user comments, which I sometimes like to read, but it is in my opinion better than Software Manager in another way. That is that it lists and even marks related packages to the package you wish to install. I think the Linux Mint team should look into this. Does other users experience the same problem with Software Manager after upgrading from LMDE 2 to LMDE 3? Other bugs I’ve found would be addressed in upcoming posts. I haven’t signed up on github yet. Also the bugs that I will post here is for the final release of LMDE 3, not beta, after users have upgraded to this release. I will post 3-4 bugs soon. I have found solutions for most bugs, I will of course post them as well. For the bug I posted above, the only “solution” that I have for now is to use Synaptic Package Manager, the terminal and Update Manager (Mint Update) to update and install software. I will post next bug tomorrow. Gnome Image Viewer is the default image viewer that was released with LMDE 3. I uninstalled this due to a bug (?) where when viewing an image it showed images slightly blurred. image by moving the cursor down from the top of the screen. the Gnome Image Viewer (the package is called EOG – Eye of Gnome). from the top of the screen. Something went wrong with the formatting above. Anyway it’s readable. Started with a bare drive install. Install worked after a day of fiddling. HINT – When partitioning your drive (with Gparted), create all required partitions (/boot/efi, /system, /swap, /home, /data) then select the system partition, right? click and “assign to / (root)” then DO NOT CLICK ON ANYTHING ELSE EXCEPT “INSTALL”. This is the trick! It can probably be done otherwise, but. Install then went fine. Maybe this (required file structure) can be noted in the install instructions. Otherwise all seems to be good. Thanks! I installed LMDE because I like Mint but need to surf the “bleeding edge” for my mapping programs to work. The problem with Mint18.3 was the programs I want to use have unmet dependencies upon dependencies. This is still the case with LMDE3. How difficult is it to move LMDE to a Debian version that contains more leading edge packages, understanding it may be less stable? Is this something a normal person can do? Long term Mint Mate user. Decided to switch to Cindy after loading 19 Mate. Couldn’t be happier. I had a minor hiccup with my lack of understanding about dealing with the partition, but it was easily remedied with an online search. I have to concur with those who say scrap Ubuntu and focus on this. It does feel snappier than 19 Mate did for me. Just a little correction. Actually Xviewer is the is the default image viewer that was released with LMDE 3. Just noticed that when taking a look at the LMDE ISO. In LMDE 2 the default viewer was Eye of Gnome. I think the upgrade tool should have take care of uninstalling the EOG package and installing the Xviewer package. But since it didn’t, users must do this manually after upgrading. The final bug I will report, is not concerning the LMDE 3 OS, rather it’s concerning a software suite called CDEmu that can be downloaded from the LMDE 3 official repo: You will need to install these 5 packages: gcdemu, cdemu-daemon, vhba-dkms, libmirage10, gir1.2-mirage-3.0. In addition it is recommended to install image-analyzer. For those who don’t know CDEmu, it can emulate a virtual drive. It means you would be able to mount and install a copy-protected DVD-ROM or CD-ROM. These are usual old games for Windows or in my case OALD9 dictionary. WIth the help of CDEmu software suite, I managed to install OALD9 under Wine. Latest Wine version is 3.03 and it can be downloaed via the terminal. For more info on how to install the latest Wine and receive updates, visit the office Whinehq website. When you try to run gcdemu after installation, an error message would pop up on your screen. The error message would also be posted to CDEmu log file in the home folder (.cdemu-daemon) and when rightclicking on the gCDEmu down in the right corner of the panel, you would see that add new device would be greyed-out. So you can’t mount any virtual drive with it at this time. Navigate to etc/modules-load.d. Here open the folder as root and then open the modules.conf file. Now you need to reboot as the CDEmu-daemon needs to run when booting your computer. You may now rund gCDEmu and there would be now error message appearing and you would see that Add New Device is not greyed-out anymore. Before installing software like OALD9, check all three listed emulation under Options. You may now rund gCDEmu and there would be NO error message appearing and you would see that Add New Device is not greyed-out anymore. For more info on how to install the latest Wine and receive updates, visit the office Winehq website (winehq.org). Installed LMDE3 onto a used HDD. Did the update, installed my favourite packages, and then reboot. Hang on boot, giving 2 messages “A start job is running for device initialisation” and “Looking for device (UUID)” They time out and I am dropped to an Emergency shell, but I can’t do anything. So, I used a much newer disk; same procedure, same result. I set the disks up with a ~30G partition for the system files, and the remainder of the disk as /home. SDA1 mounts and loads just fine, SDA2 is lost somewhere. Any ideas? Media Player (Xplayer) is fantastic. The video quality is a lot better than VLC’s video quality. Colours appear more natural. And it beats VLC on audio as well as Xplayer contains an exception to allow the use of proprietary GStreamer plugins. Now I understand why Xplayer don’t have a crackling distorting sound when playing the HEVC/AAC encoded TV series Babylon Berlin. For this TV series, VLC player is useless. But it of course possible to extract the AAC audio with ffmpeg, convert it to Ogg Vorbis with Sound Converter and merge the Ogg Vorbis audio back into the video with MKVToolNix. But why bother? For the first time in more than 10 years, VLC is no longer my default video/music player. It has a small bug though, it can’t take a screenshot from the video. But I guess that would be fixed soon. There is only one thing I miss that VLC can do, the ability to control the subtitle position so that you can place one line on the video and one on the black bar below the video on ultra wide videos/movies. Also thank to Linux Mint to making me aware of the software Redshift by putting on the ISO. This makes it very comfortable to work on the computer at night.